What’s the worst case? A possibilistic approach | Climate Etc. Are all of the ‘worst-case’ climate scenarios and outcomes described in assessment reports, journal publications and the media plausible? Are some of these outcomes impossible? On the other hand, are there unexplored worst-case scenarios that we have missed, that could turn out to be real outcomes? Are there too many unknowns for us to have confidence that we have credibly identified the worst case? What threshold of plausibility or credibility should be used when assessing these extreme scenarios for policy making and risk management? I’m working on a new paper that explores these issues by integrating climate science with perspectives from the philosophy of science and risk management. The objective is to provide a broader framing of the 21st century climate change problem in context of how we assess and reason about worst-case scenarios. The challenge is to articulate an appropriately broad range of future outcomes, including worst-case outcomes, while acknowledging that the worst-case can have different meanings for a scientist than for a decision maker. In evaluating future scenarios of climate change outcomes for decision making, we need to assess the nature of the underlying uncertainties. Knight (1921) famously distinguished between the epistemic modes of certainty, risk, and uncertainty as characterizing situations where deterministic, probabilistic or possibilistic foreknowledge is available. There are some things about climate change that we know for sure. For example, we are certain that increasing atmospheric carbon dioxide will act to warm the planet. As an example of probabilistic understanding of future climate change, for a given increase in sea surface temperatures, we can assign meaningful probabilities for the expected increase in hurricane intensity in response to a specified temperature increase (e.g. Knutson and Tuleya, 2013). There are statements about the future climate to which we cannot reliably assign probabilities. For example, no attempt has been made to assign probabilities or likelihoods to different emissions/concentrations pathways for greenhouse gases in the 21st century (e.g. van Vuuren et al, 2011). For a given emissions/concentration pathway, does the multi-model ensemble of simulations of the 21st century climate used in the IPCC assessment reports provide meaningful probabilities? Stainforth et al. (2007) provide a convincing argument that model inadequacy and an inadequate number of simulations in the ensemble preclude producing meaningful probabilities from the frequency of model outcomes of future climate states. Nevertheless, as summarized by Parker (2010), it is becoming increasingly common for results from climate model simulations to be transformed into probabilistic projections of future climate, using Bayesian and other techniques. Where probabilistic prediction fails, foreknowledge is possibilistic – we can judge some future events to be possible, and others to be impossible. The theory of imprecise probabilities (e.g. Levi 1980) can be considered as an intermediate mode between probabilistic and possibilistic prediction. However, imprecise probabilities require credible upper and lower bounds for the future outcomes, including the worst-case. Possibility theory is an uncertainty theory devoted to the handling of incomplete information that can capture partial ignorance and represent partial beliefs (for an overview, see Dubois and Prade, 2011). The relevance of analyzing uncertainty with possibility theory is better appreciated when evidence about events are unreliable or when prediction or conclusion is difficult to make due to insufficient information. Possibility theory distinguishes what is necessary and possible from what is impossible. Possibility theory has been developed in two main directions: the qualitative and quantitative settings. The qualitative setting is the focus of the analysis presented here. Betz (2010) classified possible events to fall into two categories: (i) verified possibilities, i.e. statements which are shown to be possible, and (ii) unverified possibilities, i.e. events that are articulated, but neither shown to be possible nor impossible. The epistemic status of verified possibilities is higher than that of unverified possibilities; however, the most informative scenarios for risk management may be the unverified possibilities. Hypotheses are confirmed incrementally for an ordered scale of events, supporting notions of partial belief. The contingent possibility category is related to Shackle’s (1961) notion of conditional possibility, whereby the degree of surprise of a conjunction of two events A and B is equal to the maximum of the degree of surprise of A, and of the degree of surprise of B, should A prove true. This possibility scale does not map directly to probabilities; a high value of possibility (p) does not indicate a corresponding high probability value, but rather shows that a probable event is indeed possible and also that an impossible event is not probable. As a practical matter for considering policy-relevant outcomes (scenarios) of future climate change and its impacts, how are we to evaluate whether an outcome is possible or impossible? In particular, how do we assess the possibility of big surprises or black swans? If the objective is to capture the full range of policy-relevant outcomes and to broaden the perspective on the concept of scientific justification, then both confirmation and refutation strategies are relevant and complementary. The difference between confirmation and refutation can also be thought of in context of regarding the allocation of burdens of proof (e.g. Curry, 2011c). Consider a contentious outcome (scenario), S. For confirmation, the burden of proof falls on the party that says S is possible. By contrast, for refutation, the party denying that S is possible carries the burden of proof. Hence confirmation and refutation play complementary roles in outcome (scenario) justification. Evaluation of the possibility of each link in the storyline used to create the scenario. Evaluation of the possibility of the outcome and/or the inferred rate of change, in light of physical or other constraints. Assessing the strength of background knowledge is an essential element in assessing the possibility or impossibility of extreme scenarios. Extreme scenarios are by definition at the knowledge frontier. Hence the background knowledge against which extreme scenarios and their outcomes are evaluated is continually changing, which argues for frequent re-evaluation of worst-case scenarios and outcomes. Scenario refutation requires expert judgment, assessed against background knowledge. This raises several questions: Which experts and how many? By what methods is the expert judgment formulated? What biases enter into the expert judgment? On topics where there is substantial uncertainty and/or a rapidly advancing knowledge frontier, experts disagree on what outcomes they would categorize as a ‘worst case,’ even when considering the same background knowledge and the same input parameters/constraints. For example, consider the expert elicitation conducted by Horton et al. (2014) on 21st century sea level rise, which reported the results from a broad survey of 90 experts. One question related to the expected 83-percentile of sea level rise for a warming of 4.5oC, in response to RCP8.5. While overall the elicitation provided similar results as cited by the IPCC AR5 (around 1 m), Figure 2 of Horton et al. (2016) shows that 6 of the respondents placed the 83-percentile to be higher than 2.5 m, with the highest estimate exceeding 6 m.
Conceivable worst case: formulated by incorporating all worst-case parameters/inputs (above the 90 or 95-percentile range) into a model; does not survive refutation efforts. Possible worst case: 0 < p < 0.1 (borderline impossible). Includes multiple worst-case parameters/inputs in model-derived scenarios; survives refutation efforts. Plausible worst case: p just above p = 0.1. Includes at most one borderline impossible assumption in model-derived scenarios. A few comments are in order to avoid oversimplification of this classification for a specific application. Simply counting the number of borderline uncertain parameters/inputs in deriving a scenario can be misleading if these inputs are of little importance in determining the scenario outcome. If these borderline impossible parameters/inputs are independent, then the necessity (and likelihood) of the scenario is reduced relative to the necessity of each individual parameter/outcome. If the collection of borderline impossible parameter/inputs produce nonlinear feedbacks or cascades, then it is conceivable that these parameters/inputs somehow have a cancelling effect on exacerbating the extremity of the outcome. Model sensitivity tests can assess to what extent a collection of borderline impossible parameters/inputs contributes to the extremity of the outcome. The conceivable worst-case scenario is of academic interest only; the plausible and possible worst-case scenarios are of greater relevance for policy and risk management. In the following three sections, applications of these ideas about worst-case scenarios are applied to emissions/concentrations, climate sensitivity and sea level rise. Apart from their importance in climate science and policy, these three topics are selected to illustrate different types of constraints and uncertainties in assessing worst-case outcomes. JC note: I look forward to your comments/feedback. The next installment will assess RCP8.5 using these criteria. “3. Possibilistic framework” What happened to 1 and 2? “Section 2 addressed how black swan or worst-case scenarios can be created”. There is no section 2. She didn’t say by how much. It depends on fickle feedbacks. And I challenge you to show that Goddard’s graph is comparing apples to apples. That it takes no account of new stations coming online or old stations retiring or any area-weighting. Would you like to comment on what allowance Goddard made for the average location of all the contributing stations having moved slightly northward to colder territory over the years also? 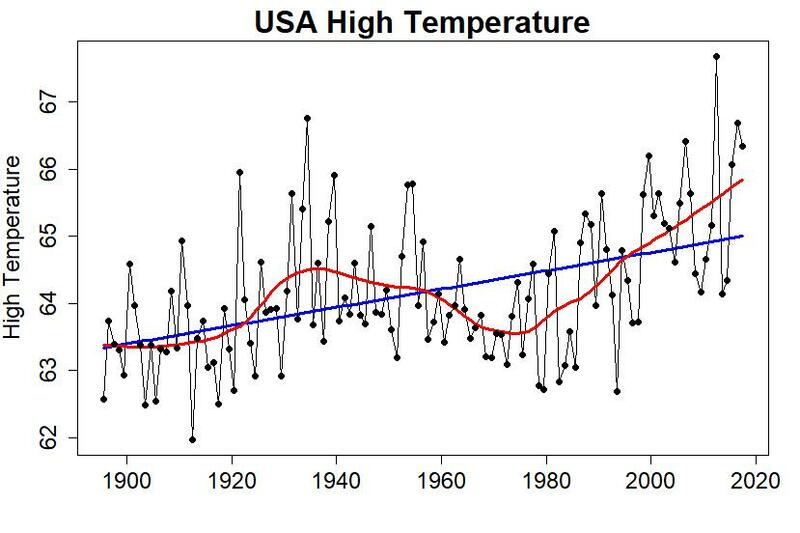 That most US warming has occurred in the west, that weighting should have compensated for. That the issue of TOBs hasn’t been addressed. You do know of the known bias of that when maximum reading made by amateur observers was made in the evening (and the max thermo rest), thereby ensuring that should the next day be cooler than the previous days high temp at reset would still be registered by the max thermometer. And that the practise was steadily ended with max readings taken in the mornings, so that the cooling overnight would mean that the max’s reset temp did not override that day’s max. Such that he ends up with a graph entirely at odds with one done with the proper methods. Why is it certain “Sceptics” never look at certain prominent sceptics with even the slightest degree of scepticism? So far, Sceptics do not have consensus and they do have skepticism of other skeptics, but they believe in people having different theories and they do not attack other skeptics for not agreeing to their theory with a consensus. This is how science should work, different theories should be presented and debated. What is not happening is the scientists all working together to understand causes of natural climate change and finding out that their theory is really correct, to some extent, but it works with factors in other theories and the right solution is a proper combination of all the important factors. temperatures for the 50 states? compared with new records for cold. but NINE US states had new cold records. of alleged global warming ? that grow a huge quantity of food. past 150 years, so there’s nothing to worry about. We are certain that the people getting rich selling windmills and solar panels and electricity FOR MORE that gets tax credits and subsidies and higher electricity rates are getting obscenely rich while their life styles promote by far, the most of what they say the rest of us must do without. Experts in climate science may not get those huge benefits, but they do get huge sums of money for studies and models and theories that support warming by man made CO2 while no actual data can be honestly twisted enough to prove they are right. We are certain the climate will change. and people will not like that ! for “worst case climate change.” ? All the significant global warming since then was good news ! +2 degrees warmer than in 1890. Where is the bad news from past global warming ? Who has been hurt by past global warming ? no one knows the exact timing. wouldn’t the people living on the planet be better off ? Are there too many unknowns to have the ability to credibly identify best case climate scenario’s? Or do all paths only lead to degree’s of worst case? Something seems incomplete here, any chance of a white swan? Hypothetically; if scientifically a commensurate number of good case possibilities were considered, and weighted agains worst case possibilities, would this equation still weight towards worst case scenarios relative to a mean risk? White swan? How about a swan with scales or fur! Hypothetically we could reprogram the genetics of algae to massively increase their CO2 sequestration in the oceans. Just last week a team of scientists has succeeded in making 13,200 edits to a single cell—and the cell survived. Who knows where the technology will be in 30 years but the entire biosphere could be up for radical changes or Tera-forming by another name. Just being a little tongue-in-cheek, jack. Exxon has done impressive work with algae too, more than doubling the amount of oil that their special strain of algae produces. The company intends to produce 10,000 barrels of algae biofuel per day by 2025 as it studies scaling the tech up. We should take the next step after this. What if we can’t stop or undo climate change possibly because countries like China keep emitting more CO2? How do we prepare for the most likely scenarios and the worst case scenarios? Deep down, China knows the alarmism is a scam. We can not stop people from burning the same fuel that made us wonderful. Whoever keeps using fossil fuels will prosper and those who switch to renewables will lose their manufacturing capability and ruin their economy, for much worse than just nothing. Did you ever hear of people shooting themselves in their own foot. This is a massive example of that. Restudy the natural causes of climate change and prepare for realistic changes in the future. and not the hoax most likely scenarios and the worst case scenarios? They scare people so they become willing to give up everything to make the people who are selling the renewables become very very rich and powerful. They want world government and global control of everything. The must present a very scary Chicken Little, The Sky Is Falling Story and get the media to broadcast it 24/7 all over the world. A past President of the USA told people in Africa they could not have what we have because of the damage it would do. It is not just a hoax, it is an evil hoax because of all the people that have been tricked into helping them. per UAH weather satellite data. in those 15 years, but there was no warming. from 1940 to 1975 — also no warming. You are right to worry about China. But not the CO2 they emit. all the way to the US “left coast”. as used in the US and Europe. You can apply brakes and your car may not slow down. You may press the accelerator and your car may not speed up. If you conclude that there is no point in using these controls in the traditional roles you have missed the point. We are pretty sure extra CO2 causes extra warming; we understand the fundamental mechanism and we can measure the results. However, there are questions to be asked about the consequences. Your conclusion “all good” is about as useful as “all bad”. Now I am sure you are a nice person, but your opinion is nothing more than that, your opinion. You seem to have ignored the blog. Why are you posting to it? We used to do more of that pollution in many of our industrial cities, we cleaned much of it up and China and India will clean up also, assuming they have abundant, low cost energy from fossil fuel and nuclear and do not damage their vast landscape with worse than useless windmills and solar panels and waste their valuable land to raise crops to waste on ethanol. I’ve never been able find any actual measurements of the earth’s equilibrium response. Obviously that is an impossible experiment so all the publications use various models which cannot be verified. There is no way to assure that the assumptions in the models actually match the behavior of the real world. There are some things about climate change that we know for sure. For example, we are certain that increasing atmospheric carbon dioxide will act to warm the planet. NO, it has never been proved that CO2 has or will cause the planet to warm. This is true in the minds of Alarmists and Luke Warmers, but not for those of us who are skeptics of this that believe the modern warm time was caused by the same factors that caused many other warm times in the most recent ten thousand years, several warmer than now. Ask Dr Neil Frank, for one. Ask weather forecasters, off the record because they may likely be fired for going against consensus. I do know a few, I will not give names. Dr Neil Frank is retired and he can talk, actually he could go against consensus without being fired. He told me he still goes to the station for some storms, he did not with Harvey because of road flooding. NO, it has never been proved that CO2 has or will cause the planet to warm. Temperature is well below the upper bounds of the past ten thousand years. People, look at actual data, not hockey stick adjustments. Read the history, the Vikings raised crops in Greenland that do not grow there today. So, you know for sure that history and data are really wrong, I don’t think so. Model output is not any kind of actual proof. Are you prepared to accept that the presence of an atmosphere means that the earth’s surface is warmer than it would be in the absence of an atmosphere? If you accept this then you are arguing that the composition of the atmosphere is irrelevant, or that one component is. Having an atmosphere or not having an atmosphere is one thing. warming the planet with one more molecule of trace gas to ten thousand molecules that are already there is dumber than dumb. Yes, one molecule more to ten thousand molecules is irrelevant. Do the Math, when CO2 went up by one hundred molecules per million, that was one per ten thousand. You can believe that if you like but don’t increase my taxes or electric rates to pay for a penny of it. We elected Trump to try to stomp out this madness. What if that’s only true up to a point? What if increasing CO2 and the increasing global warmth from it increases atmospheric water vapor from increased evaporation, which reaches a point where cloud formation sharply rises, thereby causing global cooling? What if that’s only true up to a point? It is not even true up to a point, natural factors cause cooling when the oceans are warmer and there is more evaporation and precipitation, including cooling rain and really cooling snow. The increased ice causes ice ages. If CO2 causes warming, that will increase snowfall and bring the ice age sooner. The temperature that polar sea ice thaws is the thermostat setting and the temperature will cycle above and below that, no matter what the external forcing. The amount of ice and water that takes part in the cycles determines how warm and how cold and how long the cycles are. Ice core data from Antarctica and Greenland explain this for the really serious scientist or anybody that is qualified to be on a jury trial and judge if evidence and expert witnesses for one side were more to be trusted than evidence and expert witnesses for the other side. If regular people can be trusted to make life and death decisions in court cases, they can be trusted to make life and death decisions in climate cases. If we do not have enough CO2 we will not have enough food, that is a life and death decision. Just to be picky we might acknowledge that it’s logically impossible to prove a negative, and then go on to acknowledge that the common use of the word impossible is loose enough to merge with the inconceivable. But then, one man’s inconceivable is another man’s possible, so… ah, the hell with it. That is certainly not true. Not in the last 550 million years at least, and not during WWII and post-war reconstruction, when all that CO2 produced the alarms about the oncoming Ice Age. And in 1929-1931, human CO2 production declined by 30%, atmospheric CO2 was unchanged, and temps continued to rise to 1942. So we may be certain that CO2 may potentially raise global temperature, absent countervailing forces, but not that it will. Because of the exponential decline of the GHG effect of CO2, the next doubling to 800 ppm will increase its GHG effect by 1.4%. Darn! I just realized I misinterpreted. Just because CO2 acts to warm the planet doesn’t mean it necessarily does. I take it back, Judith. Just because that 1.4% increase in GHG effect at the next doubling to 800ppm is overwhelmed by the other eight forces on climate doesn’t mean it’s not acting. It means that it just does not make any difference in the alarmist warming scam. Possibilistic? LOL. In risk management we consider probability and consequences. You may take for granted that I will read it – with an open and inquisitive attitude. But there is always ignorance and uncertainty – some denizens excepted. In environmental risk management I often deal with low, medium or high probabilities – conceptually the inverse of possibility. Regardless of the probability – where consequences are extreme risk is high. In climate – whether the low probability extreme event is natural or anthropogenic. Well, if you are really interested, google possibilities risk management. Probabilities don’t have any meaning in the face of ignorance, and where we have no knowledge of an upper bound or even a median value. Climate change is a low probability-high damage risk scenario. People seem to have a very hard time with the policy implications of such a scenario. That is exactly why clarifying and understanding the worst case is important. By using probabilities, you end up with ludicrous fat tail probabilities of 20C for ECS. Arctic freshening and AMOC decline is a strongly verified possibility. Cloud dissipation and a hothouse Earth may be more a contingent possibility. Low probability – within a meaningful period – high consequence events. Either way it is a realization of catastrophe theory. Abrupt and unpredictable change due to complex interactions of Earth system components – cyrosphere, atmosphere, hydrosphere, biosphere and – at a remove – heliosphere. There are changes in global hydrology and biology that seem inevitable. Extremes in Hurst dynamics that amplify over time. Hydrological extremes are documented over millennia. Or the much lauded CO2 fertilization with changes in the terrestrial hydrological cycle, atmospheric moisture and dew condensation and fire regimes. None of this changes rational policy responses. Or are we at again the policy impasse of doing nothing because CO2 and warming is good for us? And nothing bad is ‘possible’? When is ‘possibility’ sufficient for action? Rational policy involves restoring and conserving agricultural soils and ecosystems – for a plethora of reasons – and commercialization of 21st century power sources. Possibility theory? Yep… Fuzzy AHP, belief functions, Samuel Holtzman’s ‘Taxonomy of Ignorance’ and other goodies from the 1980 and the golden era of AI also come to mind, Judith. They were almost wiped out in the Neural Network blight. :) There is still a lot of very good mileage left in things from then. IMO really good stuff. I see your effort as a interesting direction for moving beyond descriptive characterizations involving deep uncertainties. Two thumbs up. No really – that’s a serious question. You have had enough time to make up your mind. Is ‘possibility’ sufficient for action? That is exactly why clarifying and understanding the worst case is important. It is important to understand a worst case and also to understand a most likely case and neither can be done without understanding the natural causes of natural climate change. Without that, you are comparing an unknown and unlikely man made warming with an unknown natural warming. you would do a better job of communicating. and hear if it sounds like natural speech. with your PhD writing style. then they have not mastered that subject. I explain climate in simple language. Experts counter it with complicated stuff not many understand. when oceans are warm and thawed there is more evaporation and snowfall and ice piles up and spreads out and causes colder. when oceans are cold and frozen there is less evaporation and snowfall and ice continues to spread out and cool with albedo and thawing until the ice runs out and ice retreats and causes warmer. This repeats in both polar regions and in northern temperate regions for major ice ages. This is simple and consistent with ice core data and history. Most people I talk to about this do understand and many agree. People who have studied short term correlations and formed opinions already, generally cannot accept simple. Earth has internal natural response that has natural frequencies and amplitude and these internal cycles resonate with external forcing cycles, sometimes in phase and sometimes out of phase, like most everything else we study. Tropical cooling does not have these cycles, evaporation and precipitation cool the tropics and latitudes near the tropics with powerful cooling that is a function of temperature to the fourth power. This provides most of the cooling of the earth. The total of earth cooling is the combination of the powerful cooling in the tropics with the ice cycle cooling from the polar ice. How all this works together is complicated, but the science of the cooling is very simple. The tropics are warm and the polar ice is cold. Polar ice is dumped into the oceans and the cold water sinks and travels to the tropics and the tropical water travels to the polar regions where the ice makes it cold for the return trip. The amount of ice that is dumped into the oceans or that is thawed by salt water currents determines how much and how fast the circulation occurs. Scientists study how temperature and ocean circulation influences the ice but they don’t even suspect that the ice influences the temperature and ocean circulation. I use the word thawing instead of melting. The reason is simple. by definition, ice melts and freezes at 32 degrees F. Ice cubes in water melt at 32 degrees. Ice cubes in saltwater in an ice cream maker or polar ice in contact with flowing salt water thaws at a temperature colder that 32 degrees and is more dense than 32 degree water. I seldom use the word melting because the thawing is significantly more effective in chilling the oceans. I agree with double sixsixman. Our language is based on the spoken word, even when we read text, we have to hear the voice in our mind to be able to understand what is written. The reason why the King James translation of the bible into English is such superb prose is that every single verse was read aloud from the pulpit. This was done by the scholars tasked by the King with the translation before it was approved as written text. The really simple model you’ve presented doesn’t really explain the current ice age we are in at all. The best knowledge is that intermittent glaciations of ~100,000years followed by interglacial warmer periods ~20,000 years with much less ice have occurred for about 2.3million years. We know enough from the ice cores that the cycle is not a metronome. There have been missed warming periods or only half-assed warming periods, there have been extended cold periods, there have been big, unexplained fluctuations. Milankovitch cycles may explain some of the glaciations but they don’t match up very well with the ice cores. The sun may trigger the change sometimes, but we don’t have nearly enough data for a theory. One thing we do know, the standard atmosphere physics model explains the structure of the atmosphere’s temperature and density very well working from the basic physics of the gas laws. Has anyone ever looked at CG from the standpoint of fuzzy logic? It is very, very, clear that all the alarmists use fuzzy logic. All of the Alarmists and the Luke Warmers and some skeptics use something that almost resembles logic that is extremely fuzzy. I recall some papers on fuzzy analytic hierarchy processes in environmental work (hazardous wastes). The only one I remember well was a formulation paper. I have not seen anything on climate but (1.) I have not been following things closely because (2.) it is just do difficult outside of paywalls. Best regards. Mmmm … that is equivalent to saying that the more gas your home furnace burns, the warmer your house will be. Which sounds perfectly logical. After all, as you say, burning gas in the furnace will act to warm the house. But in fact, you have the furnace thermostat set at 70°F (21°C) … and that means that the temperature is totally decoupled from the energy input to the house. The house stays at 70°F 24/7 year round, despite the fact that gas usage goes up and goes down. The temperature is no longer a function, linear or otherwise, of the incoming energy. I have provided lots of evidence for the thermostatic action of a variety of emergent thermoregulatory phenomena. The emergent phenomena include dust devils, the reflective cumulus cloud tropical sunshade, thunderstorms, squall lines, cyclones, tornadoes, the El Nino/La Nina pump moving excess tropical Pacific heat to the poles, and the decadal oceanic oscillations. These phenomena are threshold temperature based. This range of emergent phenomena all act together in an overlapping fashion to keep the global temperature within a narrow range (e.g. ± 0.3° C over the 20th century). And as a result, as with the example of the home furnace, it is NOT necessarily true that a slight increase in incoming energy from downwelling radiation will increase the average surface temperature. My best to you, and thank you as always for your contribution to the ongoing climate dialog. Difficult to reconcile with a system that has multiple equilibria. Willis and I agree on the thermostat. Willis promotes, I think I recall correctly, that the cooling when warming happens is cranked up by the fourth power of temperature, when cooling happens the cooling is cranked down by the fourth power of temperature and evaporation and precipitation rates are a major key to how this is done. I agree completely with Willis on this. This accounts for most of the cooling of earth. In addition to this powerful cooling which is most powerful in the tropics, I have polar ice cycle theory. In polar regions, including Greenland and mountain glaciers and other ice sheets in the NH and including mostly Antarctic in the SH, there are ice cycles that have evolved over billions of years. When oceans are warm, polar oceans are thawed, there is more evaporation and snowfall and sequestering of ice. when oceans are cold, polar oceans are frozen, there is less evaporation and snowfall and sequestering of ice, the ice sequestered on land continues to flow and thaw and dump ice chunks into the oceans, the thawing ice cools by thawing and the increases ice extent cools with increased albedo. This causes the thousand year ice cycles during the recent ten thousand years and the major ice cycles that lasted over a hundred thousand years and these cycles have evolved and the ice core data explains all of this. If only people will get together and work toward understanding natural internal response of the ice and water, this can all be understood. The likelihood or possibility of RCP8.5 seems immaterial for climate concerns as the atmospheric CO2 content is not responsive to changes in human emissions. Very interesting paper, Judith. I have never given much thought to how to deal with possibilities and plausibilities in a deeply uncertain context. I am afraid it will come down to judgement at the end. But if systematic analysis can trim down the universe of possibilities, I am all for it. One thought that may not be useful to you is the rate at which the planet can change its temperature, because the planet has a lot of resistance to change its temperature. 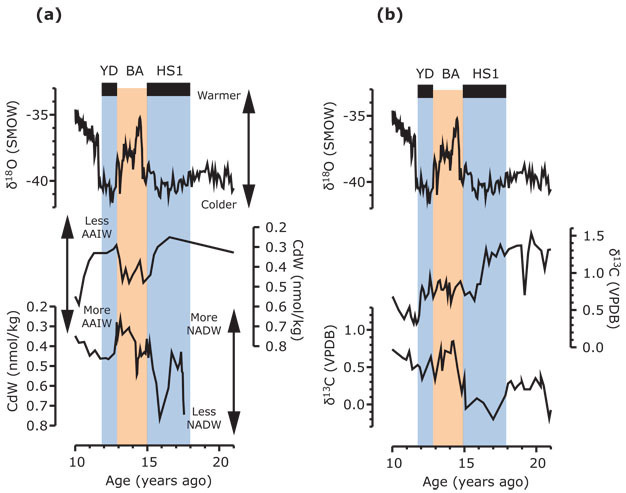 The fastest sustained rate of warming during deglaciations is ~ 1 °C/millennium. Neoglaciation cooling has been ~ 0.2 °C/millennium. Glacial cooling after glacial inception is double that, ~ 0.4 °C/millennium. Plio-Pleistocene Ice Age cooling has been an unimpressive yet dramatic ~ 1 °C/million years. On centennial timescales rates of ~ 1 °C/century have been observed. Usually retraced within a few centuries. On multidecadal timescales, we have experienced warming and cooling rates of up to 0.2 °C/decade. Higher rates than these are unknown. There are only two known exceptions. Both involved stored low enthalpy or high enthalpy that was abruptly released. The are the 8.2 kyr event and Dansgaard-Oeschger events. None is applicable since there are no huge cold or warm stores that could be abruptly released. Based on this evidence, scenarios that require sustained warming rates of 0.3 °C/decade can be rejected as highly implausible. Scenarios that require sustained warming rates of 0.4 °C/decade can be rejected as impossible. Even under rapidly increasing CO2 levels (70 years of experience) the planet doesn’t show the capacity to warm that fast. The IPCC made a big mistake predicting in 1990 a warming rate of 0.3 °C/decade for the 21st century. Based on what we know it is unrealistically high and time is showing it. The average warming rate since 1950 is ~ 0.12 °C/decade, and it won’t go much higher than that under any plausible scenario. I already said Daansgard-Oeschger events are an exception. What is that? A confirmation? You read harder. It clearly says North Atlantic, not global. The Holocene started with the last Dansgaard-Oeschger event 11,700 years ago. I see you are buying the scary tales about abrupt warming. It ain’t that. Yet it clearly says with global effects. And did I not clearly say that the cloud/hothouse Earth scenario was a ‘contingent possibility’. It is a matter of considering science in context. And I can hardly be accused buying into both ice age and hothouse ideas at the same time. Dansgaard-Oeschger events have global effects. Big deal. Their big temperature increase is regional however, affecting the North Atlantic. They are selling a recycled Dansgaard-Oeschger effect as something else. This is such an illustrious group of climate scientists. From 2002 for God’s sake – following early revelations of abrupt climate change. Something you have yet to understand. There are many more sources – and putting a name to something does little to explain it. Though I have no doubt that you find it was some sort of solar cycle. It was not – as the less extreme Holocene bond events are not. It seems related more to a nonlinear self reinforcing runaway Arctic freshening.and AMOC. Appeals to authority carry no scientific value. D-O events are well understood thanks to the work of several groups of scientists, mostly from the Scandinavian countries and the cores they have obtained from the Nordic Seas. They are due to the abrupt release of subsurface heat accumulated over hundreds to thousands of years below an intrinsically unstable stratification of a fresh cold layer and a saline cold halocline. 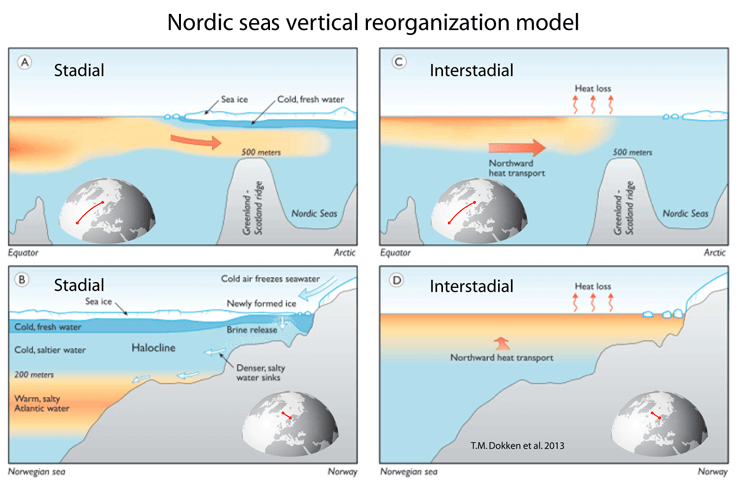 Once the contribution from meltwater decreases at the end of the stadial the stratification becomes more unstable until it abruptly collapses releasing the stored heat as a mega El Niño in the North-Atlantic/Nordic Seas. Their abruptness is not a climate feature but specific of a physically unstable configuration. Appeals to a profound authority is not a logical fallacy. Abrupt change in the complex and dynamic Earth system at many scales is not an abstract concept. And it does of course involve physical mechanisms. In this case freshening and AMOC seem involved. If you want to check the bibliography check the Nature link I provided. It is very simple. Either the evidence is with those authorities or it is not, so that they are authorities is irrelevant to them being right or wrong. I have not discussed the existence of D-O events. Heck, I even wrote an article about them. And I know quite well that the evidence supports that they were very abrupt. That is not the point. But arguing with you is a complete waste of time. D-O events are very specific, very particular events, that require a set of circumstances that can only happen at certain times at certain places. They do not constitute an example on how the planet changes its global temperature. Defining abrupt climate change on specific phenomena that requires the abrupt release of a multi-centennial store of subsurface warm water (D-O events) or the abrupt release of a multi-centennial store of cold fresh water (8.2 kyr event) means abrupt climate change as defined does not take place except under those very particular circumstances. I quote a seminal work. He disparages it. I simply say that these were leaders in the field at time – and still are respected names. And this is claimed to be an appeal to authority – when these people clearly have it in spades. But the field has evolved despite its intrinsic difficulties. And Javier is so far behind the curve that I can only suggest he do a complete 180 and catch it as it laps him. You read harder. It clearly says North Atlantic, not global. Ice core data shows the major ice ages are global, Temperatures and ice accumulation rates in the Greenland and Antarctic show this is true. Also, the NH ice ages do control major ice ages and warming events. The extra ice and water that is moves water to ice as land and then as thawed ice back to water in the oceans happen in the NH. In the SH water is moved from the oceans to the land on Antarctica but it is not put back into the oceans. The ocean rise and warming occurs an near the same time in both hemispheres because of thawing ice sheets in the NH. I know I am wasting my time Alex – but abrupt changes are internally generated and seem to involve AMOC. But then these scientists don’t understand anything – do they? (a) top-to-bottom: Greenland Ice Sheet Project (GISP2) δ18O (Grootes et al. 1993), average CdW from Florida Current (24 °N, 83 °W, 751 m; Came et al. 2008) and from the deep western North Atlantic (33.7 °N, 57.6 °W, 4450 m, Boyle & Keigwin 1987). (b) top-to-bottom: Greenland Ice Sheet Project (GISP2) δ18O (Grootes et al. 1993), δ13C from the Florida Current (16.9°N; 16.2°W, 648 m, Lynch-Stieglitz et al. 2011), and from the deep eastern North Atlantic (37.8°N, 10.2 °W, 3166m, Skinner & Shackleton 2004). Time scales for the ice core records are from Blunier & Brooks 2001). Generally high CdW and low δ13C in the deep Atlantic (bottom panels) indicate a relatively small contribution of NADW during the Heinrich Stadial and Younger Dryas. Low CdW values in the shallow North Atlantic suggest reduced northward flow of AAIW at the same time. The Heinrich Stadial (HS1), the Younger Dryas (YD), and the intervening warm period, the Bølling-Allerød (BA) are identified by shading. Note there is some debate about the timing of the Heinrich Stadial. No, we may be wasting our time but we may help change things and if we do not, we may help the next generation do a better job. Galileo made a huge difference, but not in his lifetime. Stay the course, you may never know if your time is wasted, but you may, in the long run, make huge differences. Thanks Alex – much appreciated – 2nd time today I have genuinely laughed. We do sometimes agree and sometimes disagree and that is how it is supposed to work. African humid period, actually at 5500BP. Then see where they fit here: https://melitamegalithic.wordpress.com/2019/03/15/searching-evidence-update-2/ (and the evidence); and the relevance to the Eddy cycle. The devil is in the detail – and in the evidence. Abrupt is an understatement. Interesting debate further up re Probabilities v Possibilities. The Holocene Max was a different matter. The only difference I could see from there to the last 3k yrs was a lower ‘Temp Anomaly’. Has that HM temp been reached? (I’m 73 and shouldn’t give a hoot either way, but my grand-kids??). “About 400 years” ?? or maybe half an Eddy cycle. Thanks. Did they link to the study? It seems to be a current of interest. The OBVIOUS answer is to say “No one knows”. Not to make wild guess speculations about the future climate ! Especially when climate predictions have been so wrong in the past. their field of expertise, than laymen. Climate change is certainly one of those subjects ! Yes, I am aware of Philip Tecklock’s research on expert forecasting, that indicates that in deep uncertain situations expert forecasting is usually worse than simple algorithms. But I am with Judith that a systematic analysis of plausibility can reduce the universe of credible outcomes and that is important. It is totally outside my areas of knowledge, so I’ll await to see what else Judith has to tell us. So far her analysis of RCP 8.5 is spot on in my opinion. In particular, how do we assess the possibility of big surprises or black swans? The black swan is going to happen, but it is not anything like the Alarmists and Luke Warmers and Skeptics have even imagined is possible, the next 1000 year natural climate cycle will be a little bit different than the ones in the past ten thousand years but will have temperatures and sea levels and weather and event extremes inside the bounds of past cycles. Everyone, all Alarmists, all Luke Warmers and most Skeptics will be surprised that whatever caused climate cycles for fifty billion years is still working. Climate change is normal, natural, necessary, unstoppable and a surprise because no one studies internal natural response and internal natural frequencies that correlate with Long Term Changes. This sounds like a theory that everything man does now has happened before, therefore there is nothing to think about. But you are begging the question. It is reconised that humanity is changing things. This blog concerns itself with the consequences. When blue-green algae first appeared, their effect was insignificant. To have assumed that it would always be so, would have been a mistake. With negative water vapour and low cloud cover feedbacks, all of them. Ocean phases act as negative feedbacks to net changes in climate forcing, dictating the changes in water vapour and low cloud cover. Volcanic aerosol events drive El Nino conditions, increased negative AO/NAO during solar minima drives El Nino and a warm AMO. The worst case is an inevitable protracted super solar minimum, and then an even worse one a hundred years later. As will be happening from the late 2090’s and 2200. I do take that challenge! My scenario is that the climate cycles that are well documented and have occurred for the most recent ten thousand years is normal and this new normal will continue for thousands of years. The history of this scenario is well documented in history and ice core data and other proxy data. To prove this is wrong, prove something that caused past cycles has stopped and been replaced by Man Made CO2. We have data during this transition to control of climate from nature to man by using Man Made CO2 documented by the best documented data in history, thermometers, all kinds of earth data and views from space. There should be strong evidence to show what has changed, the change happened while we had the best ability to watch and record what happened. Explain what stopped working that caused past cycles and why future cycles must be different. No one has ever even tried to explain this and I have asked it many times. Very good discussion topic, Dr. Curry. And I propose this possible “worst case”. Perhaps it’s an outlier, perhaps not. Assumption: Humanity’s effects on global climate have little or no impact on natural climate change drivers. Assumption: The climate cycle abruptly enters the “glacial” period. Looking at past cycles, it appears that the descent into a glacial period is (relatively speaking) abrupt and steep. Consequences: Crop failures above a certain latitude (or, is it longitude; I can never keep them straight : ) increase and move further south over time. Power grids begin to fail (in certain areas) due to overburdened power lines and electricity requirements. In a cascading sequence, certain countries (Canada, northern Europe, etc.) begin a reverse migration. South. Wars break out over scarce resources and livable land zones. Colonization of Africa and Central/South America is reborn with a vengeance. Sea levels begin to fall dramatically, causing ports around the world to be unusable. And, um, so on and so forth. Ah, forgot to mention a pesky little detail. The glaciers moving across continents. Still, long before that happens, current society will no longer exist. The climate cycle abruptly enters the “glacial” period. That’s not how it happens. It takes ~ 5,000 years for deglaciation, and ~ 15,000 years for reglaciation. About three times as long as the entire history of human civilization before glacial conditions are fully established. Global temperature falls at a rate of ~ 0.4 °C/millennium. I know, you saw a movie. Well, it wasn’t true. Oh, so I could just walk to keep in front of it instead of taking my travel trailer. The same thing with sea level rise. It’s not as if over a weekend the water will be up over the stoop. Of course, when highly esteemed agencies such as the EPA predict nearly 40 years ago that we should be encountering 10 feet of SLR in a few years and then that doesn’t happen, anyone with just a modest amount of critical thinking skills has to wonder about the entire end of the world narrative. The beach I visited 60 years ago looks the same now. I’m willing to my great grandkids pictures showing the time progression of the nonexistent SLR over that period so in another 60 years they can see how little things changed during their lifetime and mine. We can be obsessed with SM’ s code and mathematical representation of reality, but in the final analysis it has to be about what we are actually experiencing and what we see with our own eyes. Same here. I have been spending my vacations every year since I was a kid at a family’s sea front property that is built 10 meters away from the seashore. Sea rise is unnoticeable except for keen observers, and not more than 10 cm in 45 years. It is absolutely clear for me that 1 m increase in the 21st century is not going to happen. Good point. I did state “……the descent into a glacial period is (relatively speaking) abrupt and steep…….”. So “steep” relative to the rest of the climate cycle. If you look (and I know you already know this) at the past “end of interglacial/begin of glacial” periods, the graphs all show a “steep curve” (not sure how to state it) into a colder glacial period. Not sure why that is or if you covered that detail in your series on glacial periods. So yes, my assumption would play out over thousands of years. Exactly at what point society would begin to be significantly impacted would be extremely difficult to determine. I think it’s safe to say that any worst case (with the exception of Hollywood scenarios : ) situations (either getting warmer or getting colder) would play out over a lengthy amount of time. That’s just reality. And in my book series, that’s exactly how it’s going to play out. Many thousands of years. Thanks for the comment. Your series on the glacial periods was excellent. The way climate changes is in bouts that are partially retraced afterwards. Each bout constitutes a crisis as the cooling reduces ecosystems productivity. A descent into glaciation over a period of thousands of years without significant technological solutions could mean a decrease in human population of one order of magnitude. Technology can help ameliorate that, but it is difficult to imaging a glacial world supporting as many people as in the current warm period, if the LIA is any guide. The whole aim of practical politics is to keep the populace alarmed (and hence clamorous to be led to safety) by menacing it with an endless series of hobgoblins, all of them imaginary. … The urge to save humanity is almost always a false front for the urge to rule it. Glad you understand the border crisis and the border wall so well. He was an elitist who praised slave-owners. Weird that you’d think he’s a man who deserves to be quoted. I am very fond of Mencken’s writing. For the record, I am not a slave owner, unless you count my cats, dogs and horses, who more likely own me. Like certain of the founders, presumably. So what? His last newspaper column (before his stroke) criticized segregation in Baltimore’s tennis courts. If he was an elitist, we need more like him. Even today millions praise Washington and Jefferson, Madison and Monroe. Jackson and Van Buren, founders of the Democratic Party, both owned slaves. Do you think the Washington Monument and Jefferson Memorial are going to be a target? Lots of Bobcats needed for that stubborn monument. Digging under the foundation and get it leaning, who knows what would happen. I suggest a generation get real with history. They can have all the hissy fits they want and throw themselves on the floor kicking and screaming but it ain’t going away. But with decades of participation trophies what do we expect. An Institute for Possibilistic Future should be established in Delphi, Greece, whose dean should be called Pythia. By publishing the widest and most equivocal possibilities, a high predictive quality would be guaranteed, thus justifying any preferred policy. A country unilaterally decides to have engineers design reflective particles that can easily be dispersed in the upper atmosphere and reflect a lot of sunlight. They over shoot, and cause too much cooling. Or, a country, upset at the global treatment of their religion, sees that they cannot win against the great satan, and does the same as an act of terror. Or, same country decides to attack the Greenland and Antarctic ice sheets with an engineered dust that and carefully placed nuclear explosives. They could greatly accelerates ice melt and sea level rise and do a fair amount of damage to western economies. If you look at the tail of a glacier, where it is breaking off and ice chunks are floating away, cooling the land and oceans as it was designed to do as part of the ice cycle cooling of both polar regions and many mountainous regions. The ice has layers and some of the layers are black and some of the layers are more pure ice. If anyone lays down a dust layer to thaw the ice sheets, that will promote thawing and warming and thawed ocean that will promote evaporation and new snowfall and nature will easily wipe out this attempt to change a natural cycle. They would need to repeat their explosions almost continuously. I doubt the world would tolerate continuous warfare against nature. Oops, the alarmists already mount a continuous war against natural warming and cooling cycles, with no success. It has only been a war against human progress toward a better life for everyone. Worst case possibility alone cannot justify serious action. Empirically, we are perhaps never guided by worst case possibilities. For example, we take precautions against accidents and deaths, not the worst possible accidents or deaths. If someone were to, say, refuse to drive specifically because of a worst case possibility, we would likely judge them irrational. It would be morbid even to spend serious time thinking about these worst cases. This rule may explain why Pascal’s wager does not work. Handling risk at mass extinction level is tough. You can’t just take those three worst case scenarios in isolation. (Emissons climate and sea level) The three all have a corollary: the effect on civilisation of fossil fuel depletion. For example: just because there is some evidence that the world gets greener by burning available fossil fuels doesn’t mean we should go on until they are depleted. The corollary goes the other way. If the climate change we are seeing is a systemic breakdown with nothing to do with fossil fuels, then maybe the only way out is to save the fossil fuels to be used in massive building projects to create safe spaces for humanity. The whoopsy moment is when you apply the wrong response to the wrong threat. Like if we think the threat is lack of economic growth and apply fossil fuels to growing the economy and we find that climate change demands mass rebuilding of society and there is nothing to put in the diggers. Another whoopsy is responding to the plausible threat of climate change by rebuilding coastlines, making cities green, reforesting and defossilizing only to find no change in weather patterns. How to present whoopsy scenarios in scientific and bureaucratic language so decision makers get it? And choose between desirable and undesirable whoopsies? warming perturbations, that would be a good place to attempt to qualify risk. CO2 causes a warming perturbation, which is then amplified through feedbacks to become ECS after a latency period. We can see how the climate has responded to past perturbations. Within the HadCrut4 data set, there is .28 C of warming between the pre 1900 average, and the average of the decade ending in 1950. The current decade average is .6123C above the 1950 average. The CO2 forced warming since 1950 is .47 C.
is a .1423 C response to an input of .28 and 68 years of latency. it would create an ECS of about 2C. But we have not considered those other forcing agents. place the CO2e forcing warming at (5.35 X ln(493/333)) X .3= .629 C.
This means that the feedbacks are attenuated, not amplified! This is all well above my intellectual pay grade. I agree with Javier, in particular the cautionary discussion on geologic time scale. With a plant death floor at 150ppm CO2, it would seem the definitions on what is good or bad for the quality of human existence should set the boundaries on worst case scenarios. I think Steve Hinton deftly describes the difficulties that policy makers face. However, it is my opinion that fossil fuels will provide us with the time necessary to discern the better courses of action. A suggestion. You are using probability theory in its deterministic (Fischerian) context. It would strengthen your argument to at least note the Baysian interpretation, where priors matter for conditional outcomes. ‘Worst case’ climate outcomes are by definition conditional, and almost always rest on inplausible priors. All your TBD examples (RCP8.5, SLR…) are Baysian. As an illustration of why this may be generally important to your paper, I summarize for this comment a well known example related in the recognition chapter of ebook The Arts of Truth, which has a much longer discussion of Bayes theorem and its many useful applications. Facts: about 1% of women in the ~age 40 cohort are diagnosed by biopsy with breast cancer, and mammograms are about 80% sensative and 90% specific. Most people based on these true facts venture that mammography is somewhere between 80-90% accurate in finding that unfortunate 1%. Bayes theorem proves that only 8% of positive mammograms of the ~age 40 cohort correctly diagnose breast cancer. 92% of the resulting biopsies come back negative. That is why mammography recommendations are controversial. The probabalistic extension to worst case climate scenarios is self evident. Pingback: What’s the worst case? Emissions/concentration scenarios | Climate Etc. Might be time to recall the profound Yogi Berra “Predicting is very hard, especially about the future”. (Actually it originated in Danish, possibly with Niels Bohr.) So I’m with Geoff Weatherford here. We seem to be discussing the policy implications of the worst case CO2 scenario. I propose that thee are no policy implications since CO2 at this time, at these levels, is not in control of climate and, furthermore, we are not in control of CO2. The natural experiment was run in 1929-1931. And there is the exponential decay of its GHG effect after 50% of its effect in the first 20 ppm. And there is no other theoretical handle for us to alter climate and its eight major inputs. Just one possible correction: The fourth power output of IR in response to temperature change takes place on land. Over 70% of the earth’s surface, downwelling IR warms the top several microns of the seas, which evaporates, rises, and deposits its heat higher in the troposphere. Stratospheric CO2 then radiates IR out to space. A natural refrigeration cycle. So absent the possibility of policy, or indeed any human activity, predictably altering the climate in any direction, although this discussion has more than theoretical interest and may aid our adaptive responses, there is no practical impact on the climate, and no reason to spend time and resources on the question. Except for fun, which certainly counts. And Lord knows theoretical math has had many practical consequences. The fourth power output of IR in response to temperature change takes place on land. That is a basic property that relates IR out to temperature, where ever it happens. Where there are no significant water vapor or clouds, the surface IR out and whatever is re-radiated by the CO2 is likely most significant. Everywhere else, water vapor, clouds of water, clouds of ice, clouds of smoke, everything else but CO2 dominates. Water, in all of its states, is most important in regulating the climate and there are constant adjustments to the factors. There are hourly, daily, seasonal, weather pattern related, sea ice cover, sequestered ice extent. Every short term factor is studied to death, every long term internal response factor is totally ignored. It snows more in cold places where ice is sequestered when the oceans are more thawed. It snows less in clod places where ice is sequestered when the oceans are more frozen. This causes long term internal response with sequestered ice volume which leads a long term internal response factor and sequestered ice extent which lags a long term internal response factor. In official government charts, these two are plotted as in lock step phase with no lag. They present charts that show the last glacial max, 20 thousand years ago was an ice volume and ice extent max. That cannot be, the ice volume max is a time that ice extent is expanding the fastest and the ice extent max starts to retreat because the volume is too depleted to keep pushing. This is plain to see in combined plots of ice core temperatures and ice accumulation rates. This is long term internal natural response in the polar and near polar regions, and extents well beyond the northern polar regions for the major ice age cycles. All this is not considered as a factor that causes any response, it is treated as a result. The Tropical climate does not do this, the total climate is a mixture of the results of regional climates. Deserts and rain forests and oceans all have different internal responses. Tropical regions have different internal responses than polar regions because one uses sequestered ice and one does not. I have visited places that do not serve or provide ice, it is really different than staying home or visiting places that serve or provide ice. Actually there is at least one human activity that can predictably alter climate and that’s global nuclear war. But it won’t warm the planet. Anything else? Disappointed by the incidence of climate hypochondria among denizens here. Accept observation and measurement; and reject belief and inference. She’ll be all right, mate. Geoff. Post by John Ridgeway on the IPCC living within the consensus matrix. Uncertainty based on strength of evidence has no need for levels of agreement, confidence is calculated without agreement polls, its a quantitative confidence re analysis and agreement of data, not ideologies. Much of the “Worst Case” scenario stuff is wrapped up in the continuing controversy about the dependability of climate model projections on 50 or 100 year scales. There is simply no scientific reason to trust that climate models’ outputs at that scale reflect any reasonable version of the future. There are many scientific and mathematical reasons to believe that climate projections — all of them — over that time scale can not be translated as reliable futures. It is not just climate models of course, the reasons for the failures of climate models are the same for models in other fields. Sensitivity to Initial Conditions and Structural Instability, the banes of numerical models of chaotic dynamical systems. There is simply no scientific reason to trust that climate models’ outputs at that scale reflect any reasonable version of the future. It isn’t a matter of “trust.”. It’s a matter of informing probabilities for assessing the policy implications of low probability, high damage risk. It is idiotic to consider using models that have been demonstrated to be inaccurate for government policy. Using poor models will result in poor decisions more often than not. Joshua ==> Trust is a placeholder word for how much confidence we have in something — like a hypothesis. Models become more trustworthy when they exhibit the ability to make predictions out-of-sample that turn out to reflect the future reality when it arrives. Models that are known to repeatedly and exclusively fail to provide correct predictions are untrustworthy and can be said to have failed. The current problems with Climate Models are well known and fairly well understood. The London School of Economics CATS group has a very active program trying to inform us about these problems — and suggesting possible ways to sidestep them. The problems are at the level of first principles — use of linearized non-linear equations, profound sensitivity to initial conditions, structural instability, the scientifically unsupportable use of Means of Ensembles. Models that do not inform us of real future probabilities are “not trustworthy.” The “visual ‘realism’ of outputs” should not sway our acceptance of “the utility and decision-relevance of these model simulations.” See http://www.economics-ejournal.org/economics/discussionpapers/2019-23. Models have some utility in the study of the Earth’s climate. Long term prediction is not one of their skills (and is not now, and maybe not ever going to be, possible). Pingback: What’s the worst case? A possibilistic approach | Watts Up With That? The current problems with Climate Models are well known and fairly well understood. I don’t think so, they do not fix the problems so they really do not understand the problems. Come on people, if the problems are well known and well understood, why have they not been fixed. I will tell you why, they don’t understand climate and their models are based on lack of understanding. You have had this reposted at WUWT, where BTL suppression of serious contributions is taking place whilst minor comments pass the arbitrary censor. Plagiarism is a sacking offence in academia and you would do well to ensure that the coup-promoting Republican Anthony Watts is not behaving in such a manner (namely suppressing significant comment so it can be reproduced on other bylines, supplied unattributed to third parties etc etc) if you wish to continue your association with him. Mr Watts is very hot on certain freedoms, but rather totalitarian in other manners. CE operates under ‘creative commons’, where anyone can use this information with attribution. I went over to WUWT to check the comments, agree that they are bizarre. One thing that bothers me is that you are apparently assessing the plausibility of model outputs based on some sort of grouped opinion when certain outcome are actually mathematically impossible. That is you are assuming the models have skill to begin with. Coefficient of performance of 100… oops our best heat pumps manage 5. One of these issues is that climate science analyses effects in a “all things being equal” mindset but in an open, non linear, chaotic system all things are never equal,. You can’t for example increase storm intensity without increasing heat loss and alter the kinetic effects of wind, electrical discharges, evaporation, even global circulation, ocean dynamics and photosynthesis. All effects have an energy footprint, usually removing energy from the system…. a loss. Entropy rules. So for example one paper demonstrates through satellite measurement that west Antarctica is losing 300 cubic kilometers of ice per annum blamed on global warming of course. But if you test the energy requirements for this claim to be plausible you find that this requires an energy input of over 30 Watts per square meter. Simultaneously the IPCC claims that increased temperature has increased rainfall by if I recall 8% ( read a paper once than claimed 20% increase in rainfall for a doubling) which of course requires a similar increase in evaporation which costs globally over 6 Watts per square meter. The 11 percent increase in photosynthesis since 1990 due to CO2 fertilisation is absorbing as much as 0.3 watts per square meter ( in shortwave light). Individually some of these claimed effects might indeed be plausible, but collectively they are impossible. It’s the collective outcome that needs to be assessed, the available energy needs to be shared among the effects. A further point, when conducting an energy balance we have to ensure causality. For example Hansen’s claimed 0.6W per square metre energy imbalance is capable of increasing evaporation by around 0.8% (not 5 or 8%) but if that actually happens then evaporation would absorb all the available energy leaving no energy to warm the atmosphere IE the warm atmosphere to drive evaporation could not exist. The 0.6Watts needs to be partitioned between atmosphere, surface and latent heat of vaporisation in order for the causal relationship to remain. This further reduces the plausibility of these claims. So, in considering this paper i’d like you to consider the objective energy requirements of the effects you are considering and ensure they are collectively causal and meet energy conservation without the need to have energy flow against a gradient (defy natural entropy). When studying this topic I have found that most claims cannot meet the requirement that the energy requirement of the claimed effect be smaller than the claimed energy recycling due to well mixed CO2 back radiation or sustain causality by leaving sufficient energy to maintain the warmed atmosphere. Indeed, I feel this is the core weakness in the whole debate. The climate science seems to assume no losses, a perpetual motion machine that assumes that long wave emission must equal short wave reception. This isn’t remotely true. Emission = Reception + gains ( say from gravitationally induced friction) – losses , unless we know all the gains and losses ( within two orders of magnitude of the imbalance) we cannot possibly know that the imbalance energy is retained as heat and isn’t just a set of inconvenient energy transformations to harmless alternative end states. “There are some things about climate change that we know for sure. For example, we are certain that increasing atmospheric carbon dioxide will act to warm the planet. “ Not so fast Judith. “We” do know some things, but that is not one of those things. We know that CO2 will retain incrementally less and less heat as the concentration increases. Retarding cooling is different than warming the planet. Climate sensitivity (or heat retention as function of doubling of CO2 concentration) is a demonstrable log curve which reaches an asymptote after which additional CO2 causes no additional heat retention. The available energy bands become saturated and can absorb no more. Also, additional CO2 added to the atmosphere will be absorbed by the oceans in about 50 to 1 ratio to maintain Henry’s Law, temperature being the same. Also, concentration of CO2 in the troposphere will increase concentration of CO2 in the atmospheric layers above the troposphere, which will increase IR emissions into outer space. If you put hot coffee in a vacuum thermos bottle, the temperature of the coffee drops sharply at first because the liquid efficiently conducts heat to the inner liner of the thermos. Then the rate of temperature decline slows to a steady slope and continues that slope until the coffee is the same temperature as the air surrounding the outside of the thermos. Now, if instead we use CO2 instead of a vacuum as the insulation, what happens? The temperature of the coffee drops quickly as above for the same reason, the liquid coffee efficiently conducts heat to the inner liner of the thermos. But now with CO2 instead of vacuum, the gas molecules contact with the warm inner wall of the thermos and the CO2 molecules gain energy/increase their activity and pressure. Also, the inner wall is radiating heat as it did with the vacuum but, in addition to radiation from the inner wall in contact with the coffee to the outside wall in contact with the air, now some of that radiant heat will be absorbed by the CO2 molecules, and more heat will be conducted by CO2 colliding with the inner wall of the thermos. In both cases the CO2 gains energy/increases activity and pressure in the insulating space. And we must add the heat transference by convection of the CO2 gas in the insulating space. The slope of cooling is increased with the CO2 gas as insulator compared to the vacuum insulation. The CO2 is more efficient than the vacuum at transmitting the heat between the two inner walls of the thermos. Heat transmission in the vacuum between the two inner walls is limited to only the radiation between the two walls, because there is no conducting gas, no convection, no collisions. Replacing the vacuum with CO2 increases the rate of temperature loss, i.e. the coffee cools faster. Now, if we increase the concentration of the CO2 in the insulation space, what happens? The rate of cooling increases as the CO2 concentration increases but the rate of increase in cooling diminishes incrementally as CO2 concentration increases. Eventually, more CO2 concentration does not further increase the rate of cooling. The molecular physics are the same as CO2 in the atmosphere. The available energy bands in the gas molecule become saturated, and after that the rate of cooling will be constant until equilibrium temperature with the outside is reached. Changing the mix of the gases in the thermos only alters the slope (the rate of cooling), it does not change the amount of heat that will be lost, i.e. the temperature endpoint. The fully energized CO2 molecules will be colliding with the inner walls faster as concentration increases which results in faster conduction of heat between the inner walls as well as emitting IR radiation to the outer inside wall of the thermos, and convection currents are carrying denser gas flows which means more collisions with the outside wall, all of which speed the cooling process. At any event occurring prior to equilibrium temperature, the CO2 molecules received their maximum energy from the warmer lining of the thermos, resulting in cooling of that lining, and transmission of the heat/energy to the cooler side. In all events, CO2 causes no warming, it only retards cooling. The physics is not controlled by the gases or the concentrations of the gases. The physics is controlled by the temperature difference, that is, the temperature of the coffee versus the temperature of the air (or other media) outside the outer wall of the thermos, i.e. the temperature differential, and primarily by additional incoming energy if any. Likewise, the physics of the earth is not mediated by the atmospheric gases or by the relative concentrations of the atmospheric gases. More or less of a particular gas in the atmosphere only affects the RATE of cooling or the rate of warming, the gases do not affect the temperature endpoint, on average. (Obviously, the instantaneous temperature at two different, specific spots on the earth is affected by the gases, primarily water vapor, and clouds and albedo are important. For example, standing in the dry Arizona desert just after sunset versus standing in humid New Orleans just after sunset, there will be a big difference in the rate of cooling at the two places.) More CO2 in the atmosphere will only change the rate of warming or rate of cooling in the troposphere and rate of warming or rate of cooling in stratosphere. Additional heat retained temporarily near the surface will be offset by additional cooling in the upper atmosphere by increased radiation into outer space. “The first thing to appreciate is that the world is full of possibilities, and current evidence may simultaneously support belief in any or all of them. This ambivalence leads to uncertainty, but it is not the strength of evidence for a particular possibility that matters, it is the relevant strength compared to the alternative possibilities. A possibility that is supported by several sets of evidence will be greater than a possibility that is only supported by one. As evidence is collected, uncertainty may be reduced if it further supports a promising possibility, but uncertainty will be increased if it supports a previously unsubstantiated idea. This could only work if you do not leave out an important factor. Ice extent is always treated as a result and not a cause. No one looks back four or five hundred years and understands that evaporation and snowfall and ice sequestering or ice depletion has a 500 year lag for Medieval Warm Periods and Little Ice Ages. For major warm periods and major ice ages, the lag is many thousands of years. The data needed to get this factor correct is archived in the ice core data. Pingback: What’s the worst case? Climate sensitivity | Climate Etc. We know that global cooling is harmful, possibly dangerous, possibly catastrophic many millions of people. We don’t have valid evidence or logical argument to support the premise that global warming would be dangerous. In fact, the weight of evidence suggests it is beneficial, at least up to +3C GMST from 2000. That almost certainly will not happen this century. So, why presume that global warming is dangerous? This new study just published by Demetris Koutsoyiannis may be of interest to you.